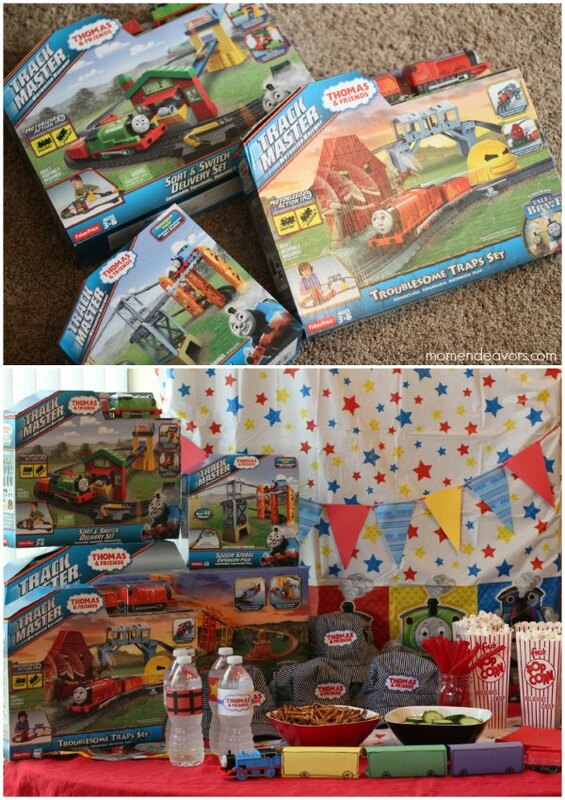 I used the fun new TrackMaster™ sets & some simple Thomas décor to set the scene for a whole fun playdate! 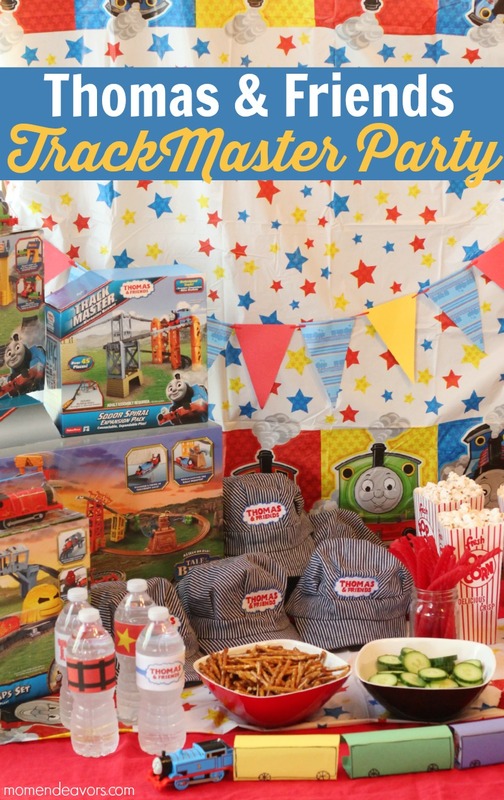 A fun Thomas & Friends™ banner, along with some train conductor hats were perfect for the party. 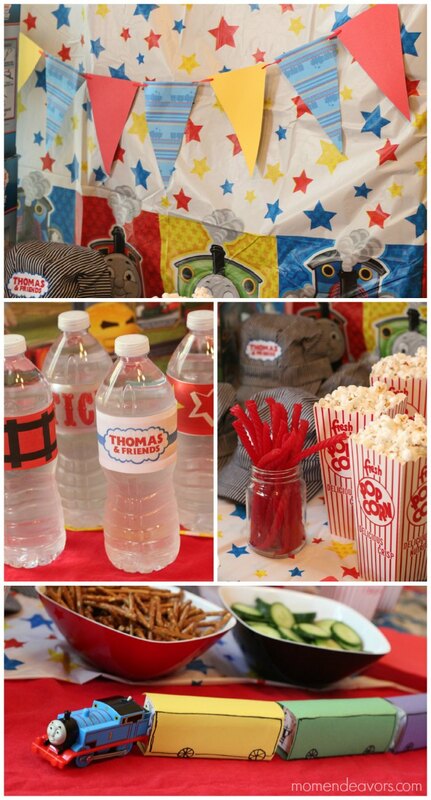 Then, I created some fun train-themed water bottle labels and put out a few kid-friendly snacks. I thought classic "carnival" food seemed to fit well with a train theme, like the popcorn containers and red licorice. You can see we also had Thomas on the table pulling some large train cars (which are wrapped juice boxes). The boys loved those goodies, but the real excitement was with all the new train sets! These new TrackMaster™ sets are compatible with the older versions, allowing your little engineer to continue to expand on and explore the exciting world of Thomas & Friends ™ TrackMaster™. It probably comes as no surprise that the boys were most excited to open the large Thomas & Friends™ TrackMaster™ Avalanche Escape Set, which features fast and powerful motorized engines that make for the most action-packed Thomas & Friends™ adventure yet. We're talking complete track-jumping fun! 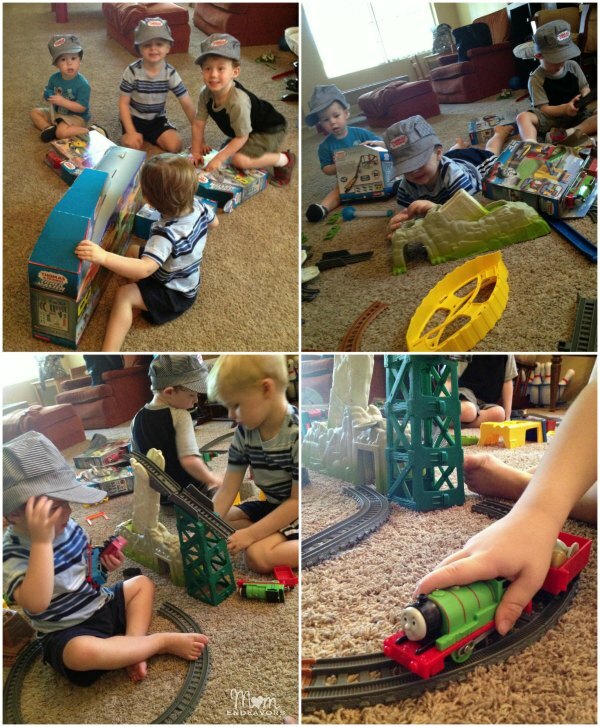 The boys have been obsessed with playing trains and setting up tracks ever since! 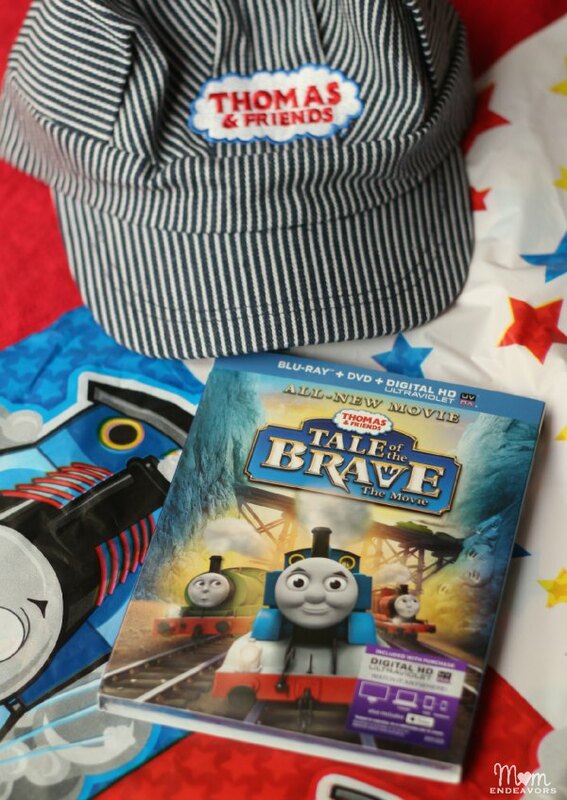 And, when they haven't been playing trains, they've asked to watch Thomas in an all-new (direct to DVD) movie, Tale of the Brave. It's all been great for never-ending Thomas & Friends™ fun! So, be sure to Check out the new Thomas & Friends™ TrackMaster ™ Online and build your very own track design! And for even more information, be sure to Keep up with Thomas & Friends™ on Facebook and Follow Thomas & Friends™ on Twitter! What would YOUR kids love best about the new TrackMaster sets?